So, what is different, and what is special about the Pro Platinum Package from Aussie Divers, well there is not just one thing, because there is a range of intangible benefits as well as core extra’s that will see you become a sought after scuba diving professional. The first core benefit is the 25 Instructor Certifications*, once you have those, you can certify as a PADI (MSDT) Master Scuba Diver Trainer, it’s the next level up after Instructor in the PADI system. 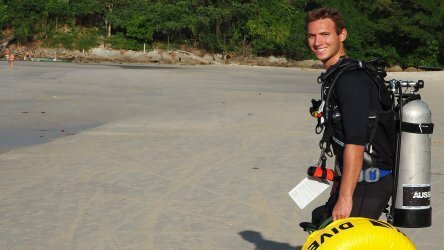 MSDT’s are far more likely to be employed than just straight up instructors because it’s far more likely that you have invested time and energy beyond your IDC to learn the skills and specialties that keep divers returning to your shop or dive center, and repeat business is what scuba diving is all about. With the Platinum package we ensure you get 25 certifications* PLUS, 5 instructor specialties (not including the free one, Nitrox, O2 Provider). You will be team teaching with our awesome Aussie Divers instructors who are some of the best in Thailand. 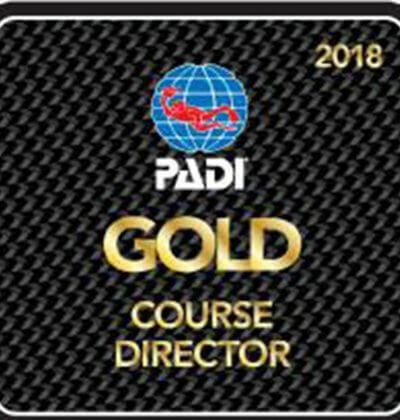 All of our instructors who will be team teaching have thousands of dives as PADI instructors and will be polish on any rough edges you have when it comes to teaching in a real life environment with customers, students and Divemasters. There is absolutely no better way to learn than team teaching, be confident when you step out on your own to teach courses and lead dives because you’ve seen how the real pro’s do it, this is how we have made Aussie Divers the most popular dive center in Phuket and how we ensure customers are always safe, happy and willing to do some more diving with us! 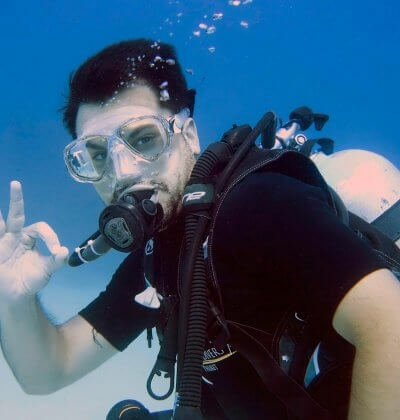 You will likely get to team teach a wide range of courses including PADI Discover Scuba Diving, PADI Scuba Diver Courses, PADI Open Water Courses, PADI Advanced Open Water Courses, PADI Specialty Courses (to your rating) and PADI Rescue Courses. Don’t forget the five extra instructor specialties are included in the Platinum package cost, so pick five and you get to do them after you pass your IE, which provides a few very nice relaxing days out diving in beautiful Phuket after your IDC. 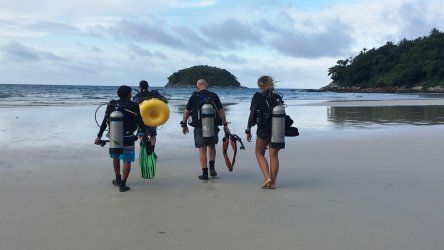 Many people don’t know that there is no actual boat diving during your IDC, it’s mostly classroom, beach and pool training, so if you can’t take advantage of the five free days of diving offered before your IDC, this is by far the cheapest and best way to see the amazing reefs and wrecks of Phuket! You can see more here on our recreational diving website that covers everything there is to know about Scuba Diving Phuket. To make it easy for you to see the value you are getting in the Platinum IDC Package, please see the green box in the honest pricing section below where you can see the real world value of all the free stuff you get if you book with us. PADI MSDT fee can be paid after passing your IE and finishing your specialty instructor training! Remember everything listed below also comes included with the Platinum IDC Package, you won’t find this amount of added extra’s anywhere else, so don’t hesitate, contact us immediately to book your IDC with Aussie Divers Phuket! The Platinum IDC Package also includes everything included in the Silver & Gold packages. 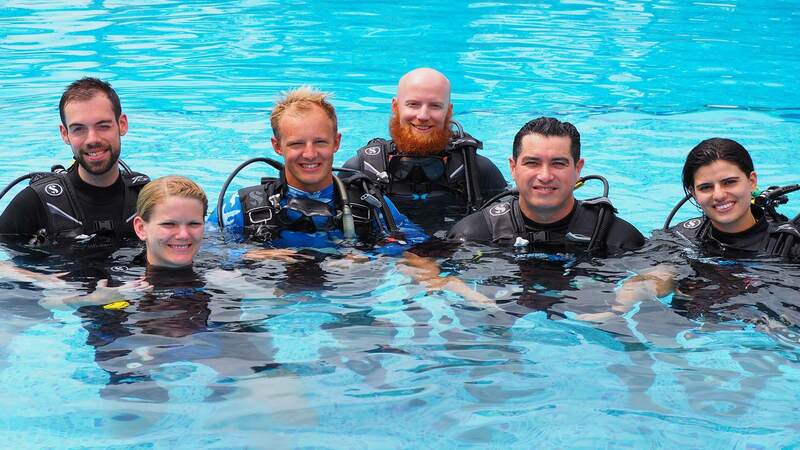 At Aussie Divers Phuket if you do not have the 4-6 weeks to get the 25 certifications, we will then offer you a MSDT preparation program, this would be 3-4 days after the IE to prepare you towards getting the 25 required certifications. Due to the new foreign labour laws here in Thailand we can not employ foreigners without work permits, this also implies to internships or even simply looking like you are working. Thailand has tightened the regulations on foreign workers and increased the maximum fines for working without a Thai work permit up to THB 800,000, this fine is given to both the foreigner working and also to the company that has employed the foreigner. Here in Phuket this is something that is strictly policed, and the Thai immigration official’s regularly check Scuba diving instructors work permits and visa’s. They not only keep an eye on instructors working in the pool’s but also in the mornings at the pier each day boarding the boats. For any non – Thai seen to be working in Thailand they must be the holder of a Department of Labor Work Permit. If a person is caught working without a work permit then they will be subject to heavy fines (either through the court system or directly to the police station), jail time or deportation. If you are looking to get your MSDT and 25 certifications after the IDC and IE course’s then speak to the staff at Aussie Divers for ways we can assist you towards the 25 cert’s. 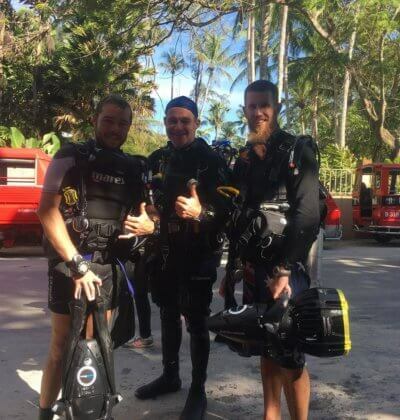 If you want to be immediately employable in the scuba diving world, the Aussie Divers Platinum package is by far the most comprehensive and dedicated IDC that will help you achieve this. PADI MSDT’s are in short supply so don’t miss your opportunity to get this training for a great price!